On the court, Harden does his thing. Off the court, he’s earned enough to have some insane bling. Watch as he shows us some. Just a l’il some. Ha! In this episode of On the Rocks, Houston Rockets superstar James Harden shows off his best pieces, laments a lost Rolex, and talks about shady fake jewelry. This just in: Chris Paul is now a Houston Rocket. Sorta. The news is a couple of days old. But the shock waves are still being felt, and the impact of the collapse of whatever ‘bridge’ between Paul and the Clippers organization… Well, folks are gonna try to put some scale to that in the months to come; no doubt. But the nuances in this clip – Paul’s poised (carefully worded) responses to questions, how joining James Harden on a new team might play out and even how cute Paul’s son’s (little Chris) wishes for his competitive dad “played” out – make for an intriguing watch. Chris Paul sits down with Shelley Smith and talks about his six-year run with the Clippers, his relationship with James Harden and the challenge of stopping the Warriors. LeBron James and Chris Paul share some wisdom! This clip assembles footage of brief heart-to-heart talks at a skills camp from a while back. Among the elite college ballers at the camp: a young Stephen Curry and James Harden. Respect to Justin Tinsley for the scoop on this one. Witnessing knowledge being passed down so willingly is inspiring. Life lessons have trickled down lineages for centuries in the same manner whether at barbershops, working on the car with your old man or, here, at a basketball court. Okay. Underrated at first; now first off the bench with with a premier squad, CyHi The Prynce could be considered the “James Harden” of his team – G.O.O.D. Music. 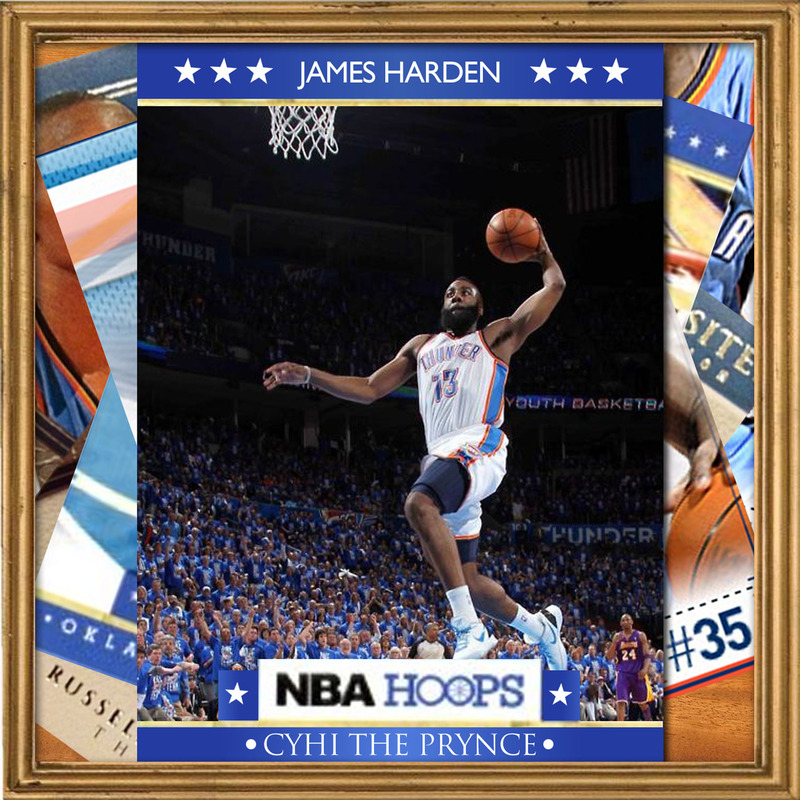 Drafted third overall in the 2009 NBA Draft, the Oklahoma City Thunder sixth man Harden is a fitting metaphor for CyHi at this point in his career. He “might not be the richest” but he definitely “ain’t starving.” More than that, emcees that come at CyHi weak can end up getting straight embarrassed in this game called Hip-Hop! Stream the Harden-inspired freestyle here.